Carte de visite of Millie and Christine by J.H. Fitzgibbon of St. Louis, Missiouri. Fine condition. 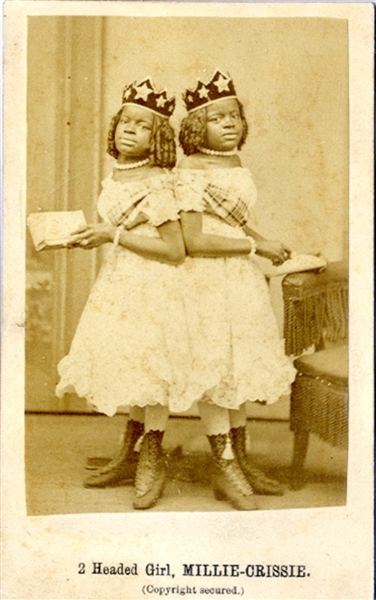 Millie McCoy and Christine McCoy (1851-1912) were American conjoined twins born as slaves who went by the stage names "The Carolina Twins", "The Two-Headed Nightingale" and "The Eighth Wonder of the World". The Twins traveled throughout the world performing song and dance for entertainment.